Presidential spokesman Yasser Ali on Monday revealed the names of President Mohamed Morsi's presidential team, including four presidential assistants and 17 presidential advisors. 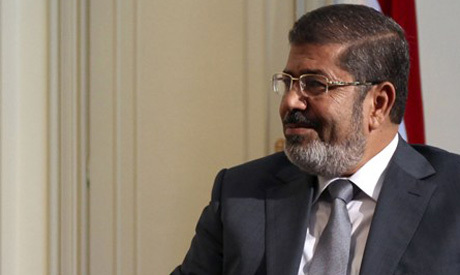 According to the spokesman, the team will include six members of the Muslim Brotherhood (the group from which Morsi hails) – including two from the Brotherhood's Guidance Bureau – along with two members of the Salafist Nour Party and an Islamist-leaning former presidential candidate. Additional names are expected to be revealed in coming days.